Home / CRYPTR / LTE / P25 / TETRA / Can you fiddle with a CRYPTR micro? Can you fiddle with a CRYPTR micro? 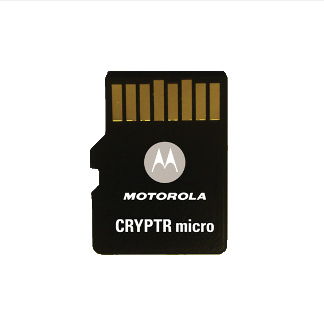 Motorola’s CRYPTR micro encryption unit is designed for use in mobile devices to provide reliable FIPS level data encryption that require high assurance key management and encryption capabilities. The CRYPTR micro unit is fully compliant with the SDIO Revision 2.0 standards and is used in a number of TETRA; P25 and LTE devices that often need high levels of encryption. 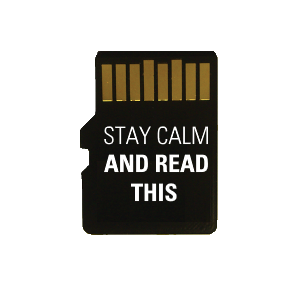 The CRYPTR micro might look like a SD micro card, and will fit into a SD micro card reader but is not a memory card and it's impossible for someone to read the information or to use it in another device. The CRYPTR micro has a number of security functions built-in to protect the keys in the module - both when it's in the radio and if it's removed. These are similar to those that were used in the UCM. So, if someone were to remove the CRYPTR micro and attempt to use it in another device (including a different radio), the keys would automatically and immediately be erased. Secure Boot built into the device, to ensure only Motorola Solutions certified safe code is loaded and operating. Security software to detect if the unit is removed and attempts were made to use the CRYPTR micro in an unauthorized environment. When compared to the UCM, the The CRYPTR micro is easier to install. In the past, some mechanical disassembly; reassembly and tools were required to install the UCM into radios which used it.